In its neverending quest to create a cohesive messaging ecosystem, Google decided some time ago that its Hangouts platform was to serve primarily as an enterprise product. 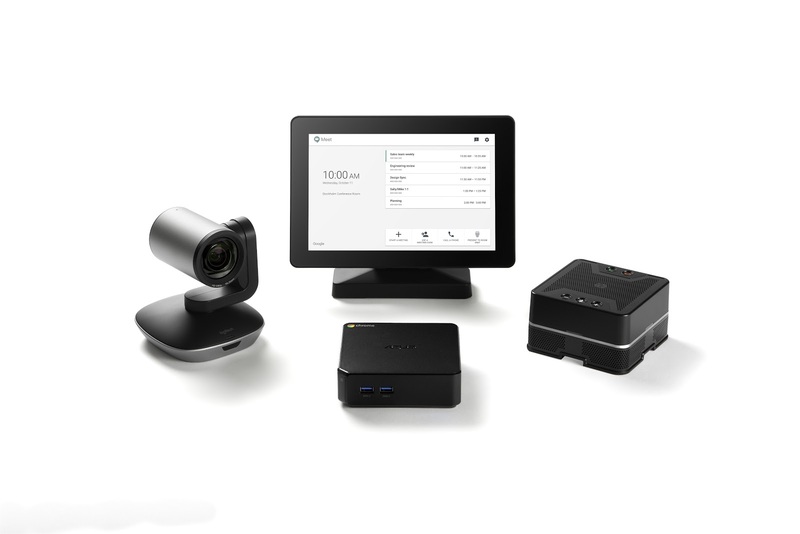 To that end, last year, it introduced the Hangouts Meet conference kit: a Chrome-powered affair aimed at businesses to facilitate teleconferencing via the company's Hangouts Meet software. Google announced today the product is receiving a refresh by way of a new camera. Jamboard is also being updated with AI-assisted drawing functionality called AutoDraw, which recognizes sketches and pairs them with appropriate images (a concept that may look familiar to anyone who fooled around with Google's "Quick, Draw!" experiment in 2016), and the Jamboard app is making its way into the G Suite's core services.